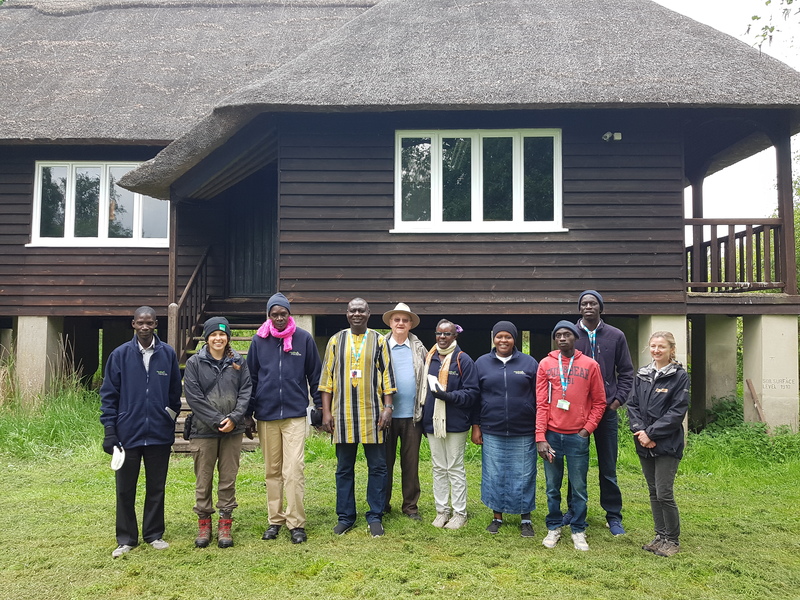 Seven agricultural students from African countries have visited the Great Fen Project at its sites on Woodwalton Fen and near Ramsey to learn about the impact of conservation and how they can transfer those learnings to sustainable farming plans in their own countries. The students, who are currently half way through their 10 week practical agricultural course at Moulton College, Northamptonshire, enjoyed a talk from reserves officer Helen Bailey, before exploring the area and seeing first-hand how the project is fulfilling its aims to create a naturally resilient landscape, challenge climate change, social benefits as a wildlife escape for town and city dwellers, and economically support local farms and businesses. This year’s short course students are amongst the 184 students that the Marshal Papworth Fund has supported to date, equipping them with practical and sustainable agricultural solutions to enable communities in developing countries in growing themselves out of hunger. In order to continue these opportunities for students from the developing countries and benefit more communities, the charity relies on donations from individuals and businesses. To find out more and to make a donation contact Sandra Lauridsen on 01733 363514 or email slauridsen@eastofengland.org.uk for more information.